Late July & early August is blueberry season in the Pacific NW. Fresh picked blueberries in the peek of season are heaven to me. The simple pleasure of making blueberry muffins or just sitting on my patio and apologetically eating an entire pint of blueberries are a special part the joys of summer for me. This year, I decided to try something a little different with my blueberry haul - blueberry butter. It's something I've been curious about for awhile and I'm glad I finally tried it. By taking pureed berries and cooking them for hours with ginger and sugar, it transforms the traditional blueberry experience. Blueberry butter is a deep, rich sauce-like condiment that is a perfect accompaniment to cheeses or ice cream and also lends itself beautifully to meat marinades. It is also really easy to make. 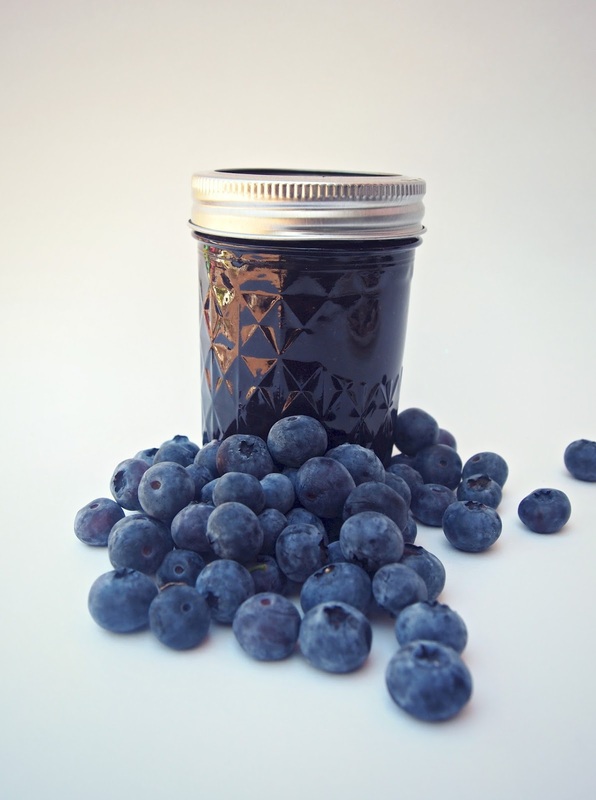 Puree your berries in a blender or with an immersion blender. Combine all ingredients in a crockpot and mix. Cook on high for 6-12 hours, stirring occasionally and leaving the lid slightly ajar to allow steam to escape. The longer you cook your butter, the thicker it will become, so the cooking time is entirely based on your preference. Once you have reached your desired consistency, you can ladle into hot, sterilized jars and process in a hot waterbath canner for 10 minutes. *The spices that go into blueberry butter are entirely up to you. I chose ginger to brighten the blueberry flavor and give it a bit of zing, but make what you like to eat. By adding 1 teaspoon cinnamon + 1/4 teaspoon of cloves will transform your butter to that traditional beloved fall flavor similar to traditional apple butters. You could also experiment with curry, pepper, cardamom, or anise to make something completely your own. Oh my gosh. This sounds amazing!! !